What probably made this phishing/assimilation campaign so successful was that Google users are so accustomed to granular security, having to click allow for every app on their phone, that they we're willing to do it for Gmail too. When a user enters their information on the OAUTH phishing page and compromises their account - the malicious actor's script then sends the OAUTH phishing page email from the newly acquired account to all of the account's contacts. Thus, this script is spreading based on each account compromised, appearing to be coming from a known source - leads to a more effective click through rate. Why harvest hundreds of thousands of email accounts when you can just compromise an account and start a "Ponzi" scheme type of "Contacts" abuse. Yes, it was a very clever campaign with an insidious propagation mechanism. Several of our clients had large distro lists that were hit, which really made things interesting. 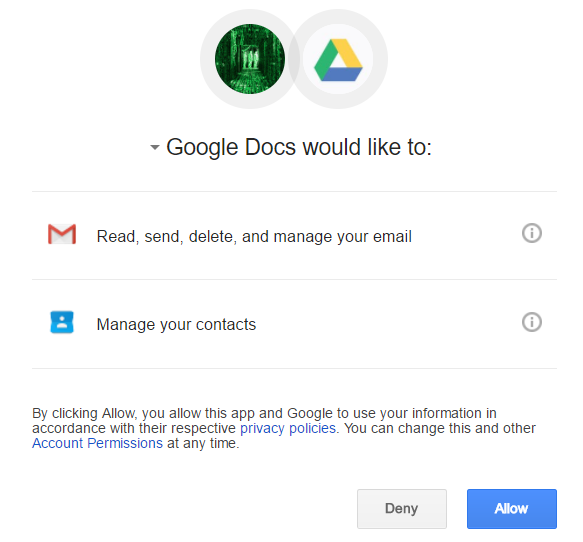 I'm surprised Google doesn't have restricted words or phrases for apps; calling it "Google Docs" probably fooled a lot of people into accepting the permissions. The first phishing worm ever? I was a young admin when the Iloveyou virus was spreading like wild fire across the internet. A simple vb script that anyone with a little training could have made demonstrated that Microsoft's handy scripting language and application api could be easily used for evil.